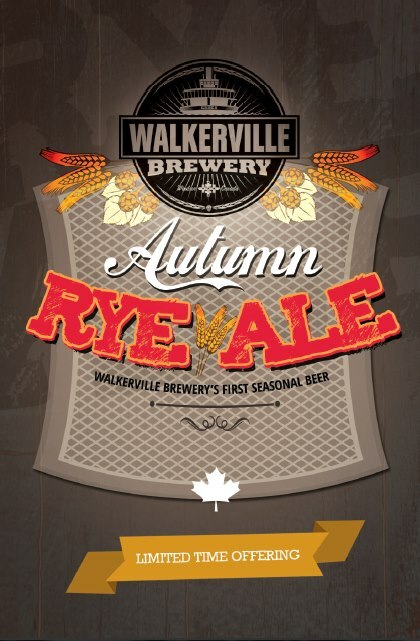 Walkerville Brewery is proud and excited to release their first seasonal brew: Autumn Rye Ale. Stop by the brewery today for a taste which is now available on tap and in their 64oz. growlers. We’ll also be stopping by Walkerville Brewery on our next Rye and Tequila and Beer, Oh My! walking tour on November 3, 2012. Tickets are still available.